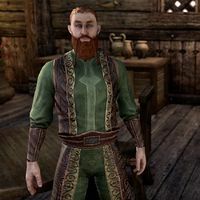 Advisor Borodin is a Nord member of the Worm Cult working as an undercover agent in the town of Nimalten. You will be forced to kill him after he betrays you during his related quest. A basic ranged attack that does minor magical damage. The enemy often begins combat by summoning a zombie or a skeleton. If killed, another one will be summoned to replace it. The enemy channels a buff on a nearby humanoid undead (eg. skeletons, zombies, even bone colossus) that causes that enemy to do twice the damage. This spell appears as a green glow around the hands of the buffed enemy, as well as the necromancer. This spell can be interrupted to set the enemy off balance.